Index. 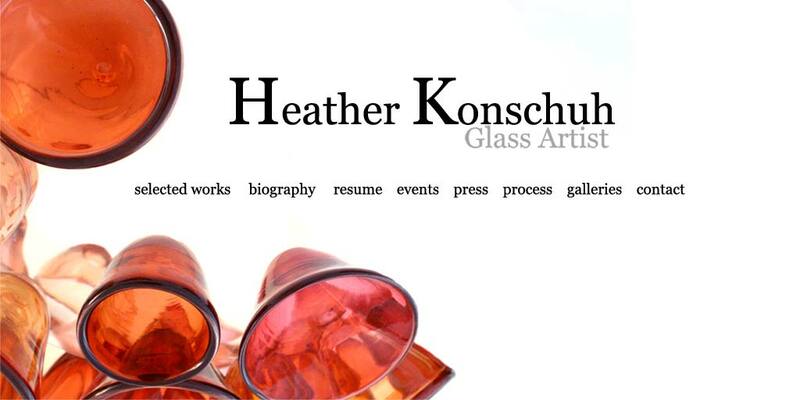 Heather Konschuh has been blowing glass professionally since 2005. She was chosen by Prime Minister Steven Harper's wife, Laureen Harper, to create the spousal gift at the G20 and G8 in Toronto. Images of her blown, sculpted and contemporary glass art work can be found on her website at www.konschuh.com. Konschuh's portfolio in glass is vast as she creates everything from glass pendants, paperweights, ornaments, and tumblers to large functional bowls, vases and 3 foot high classical amphoras. Her work can be found in a number of galleries in England and Canada including De Morgan Centre, Living Arts Centre, Canadian Clay and Glass, Ontario Crafts Council, Petroff Gallery, Eclectic and West End Gallery. Heather has been a glass instructor, glass resident and studio assisant. Her glass has taken from Saskatchewan, Calgary, Alberta, Canberra, Australia, Toronto, Ontario, Seattle, Washington to London, England, United Kingdom.